Dessert as we know it today has likely only existed since the seventeenth century, according to food historian Deborah Krohn and Yotam Ottolenghi. 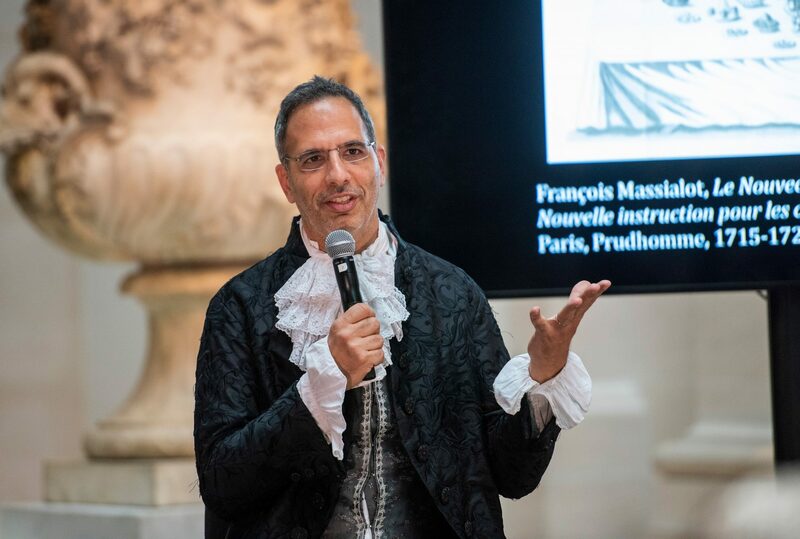 On a balmy summer evening at the Metropolitan Museum of Art, chef and writer Yotam Ottolenghi walked onto a stage dressed like a nobleman of the ancien régime, one who might have been angling to speak with Louis the XIV at Versailles. Instead, Ottolenghi was dressed to speak with food historian Deborah Krohn about Versailles, and the elaborate cakes, pastries, and sugar sculptures that enlivened the palace with the spirit of excess and indulgence that ultimately consumed it. The event, Feast of Versailles, offered a glimpse into the Met's Visitors to Versailles exhibit, as well as tastes of 17th-century-inspired desserts fashioned by some of the world's best pastry chefs, including Dominique Ansel, Dinara Kasko, Ghaya F. Oliveira, and Janice Wong. "Versailles brings out all those images we have about decadence, about pushing the boundaries in every possible art form—architecture, design, landscape. And also in food," Ottolenghi said. "Late-seventeenth-century Versailles was kind of the equivalent of Disneyland. You came there to see, to be delighted and impressed. It was also slightly over the top, excessive, and decadent. Sometimes I think about it like Jurassic Park, where there’s dinosaurs walking around and they don’t know the end is coming." 1. In the sixteenth century, "dessert" was glorified Tupperware that you wouldn't want to eat. "If you look at a sixteenth-century cookbook, pastry was more something that had a practical function—as a crust, or sometimes even to enclose other food to create a kind of Tupperware situation," said Krohn. "It was used as a preservative. It probably tasted okay, but it wasn’t something you would want to eat on its own." 2. 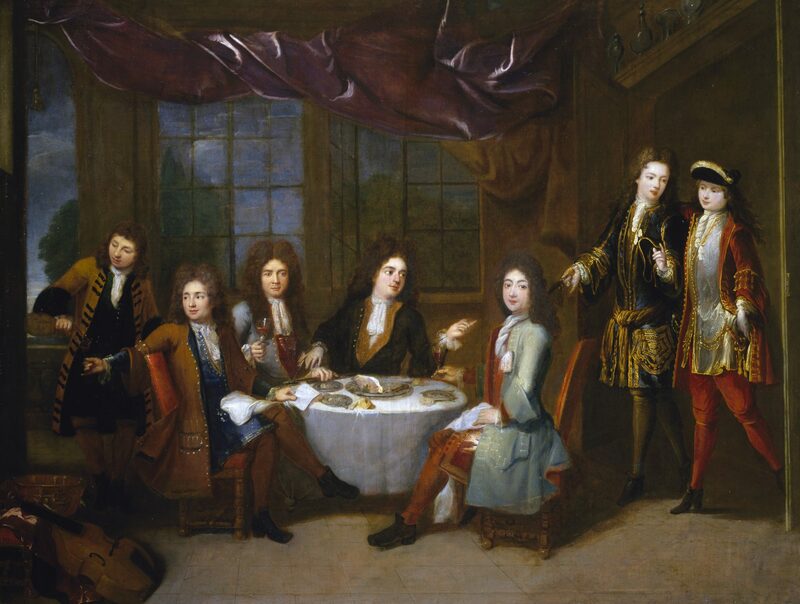 In fact, dessert wasn't really a thing until the seventeenth century. According to Krohn, the first cookbook for desserts didn't surface until the seventeenth century, when the idea of having a separate course for sweets first came into existence. "Up until the seventeenth century, sweet and savory dishes were put out on tables indistinguishable from each other," she said. This transition towards making and appreciating sweet desserts was partly due to the cultivation of New World plantations, which lowered the price of sugar, allowing it to become a main ingredient, not just a spice that brought out the savoriness of a dish or preserved it. 3. Desserts were served in the middle of the meal. "Over time there was a development of a course called 'entremet' [served] in between courses, and that survives a little bit at very fancy restaurants where you get a sorbet course—that’s the last vestige of the entremet," she said. "But then the dessert started being served at the end of the meal, and by the middle of the seventeenth century, there are cookbooks only for desserts—sweet courses at the end of the meal." 4. At Versailles, out-of-season fruit was all the rage. As Ottolenghi pointed out, Louis the XIV prided himself in growing fruits in the middle of the winter, in a climate where they were not normally grown, to demonstrate his mastery over nature. "The most important element for the sweet course is fruit, and that’s a constant from the late Middle Ages on," she said. "Fruit becomes more and more sculptural; it begins to be served in pyramids. It becomes a prize to display all of the fruits you can grow. Louis the XIV grew all kinds of amazing fruits out of season: strawberries in March, pineapples that had not been cultivated in Europe before. He really mastered the art of growing things under glass bells—the beginning of green-house technology." 5. Sugar was understood as a medium for sculpting art, similar to porcelain and bronze, more than it was as an ingredient for making sweets. Even Bernini used sugar to sculpt. "It was almost like porcelain," Krohn said. "It was obviously much easier than porcelain, because you don’t need to fire it. You can take sugar and mix it with a kind of gum, and sculpt it, and it hardens and becomes almost indistinguishable from porcelain. Starting in the seventeenth century, artists like Bernini would sometimes desig—for a fabulous banquet—a sculpture of sugar from the same method that he would make marble or bronze sculptures." "Blending the line between cooking and art—sugar was the medium with which you could do that," Ottolenghi added. And the treats at Versaille begged the question: "Should I eat that or not?"